In my opinion, he was a creative genius, that has helped shape the world as we know it. It’s sad to see anyone die at such a young age, to a horrible disease. I’ve learned in ministry that during times of loss, the best thing we can do, is pray for the family, and if we have a personal relationship with them, be there. The question I pose today is, What Happens Next? Not for the Apple corporation… With the release of the iPhone 4S, we’ve seen that they will continue on. 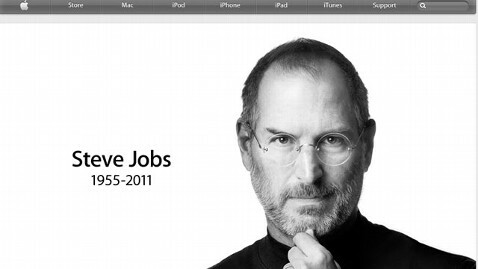 What’s next for Mr. Jobs, and for the estimated 150,00 others that die each day? According to the Bible, we die once, and then face judgement. We will be judged on the decisions that we made while on this earth. The main decision being, did we receive the free Gift of Salvation that was offered to us. My hope is that in his last hours, Mr. Jobs opened his heart to the Truth of God’s Word and to The Grace that was extended. I agree with Crystal that the death of Mr. Jobs is a tragedy, but every time I hear of people espousing the lie of reincarnation I cannot help but to think of Wallace McRae’s poem “Reincarnation” from the book “cowboy curmudgeon”. Great thoughts guys… Thanks for sharing them!